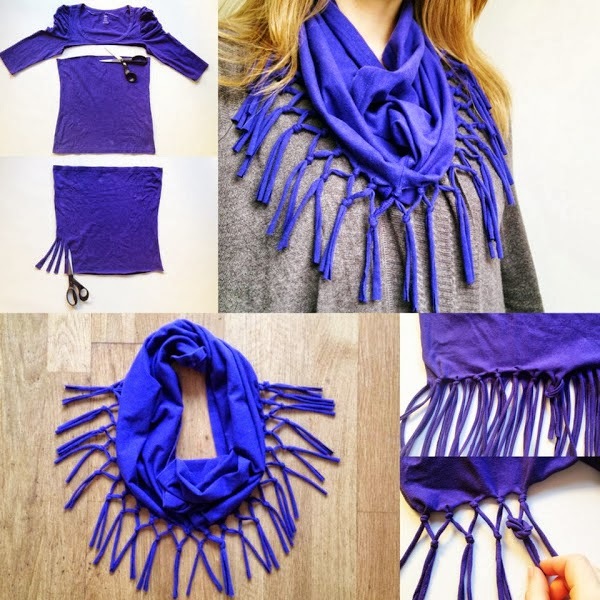 Your old-fashioned T-shirt can become your new elegant scarf. You just need to cut the cloth as it is shown and then knot some of the strings. If you are patient, the final result will be charming and impressive.